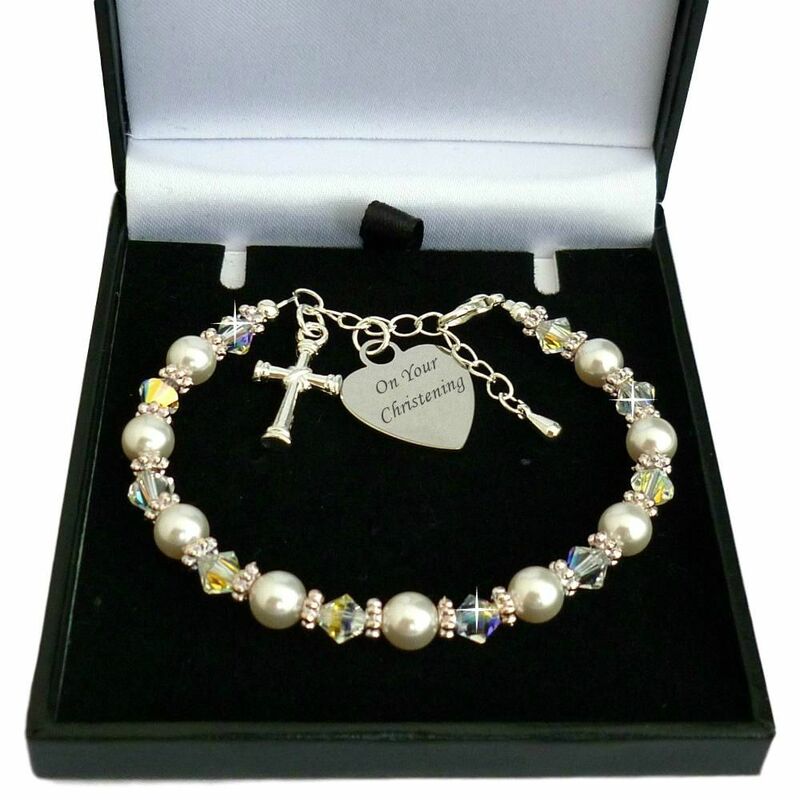 Christening Bracelet with Cross Charm and Engraved Heart. 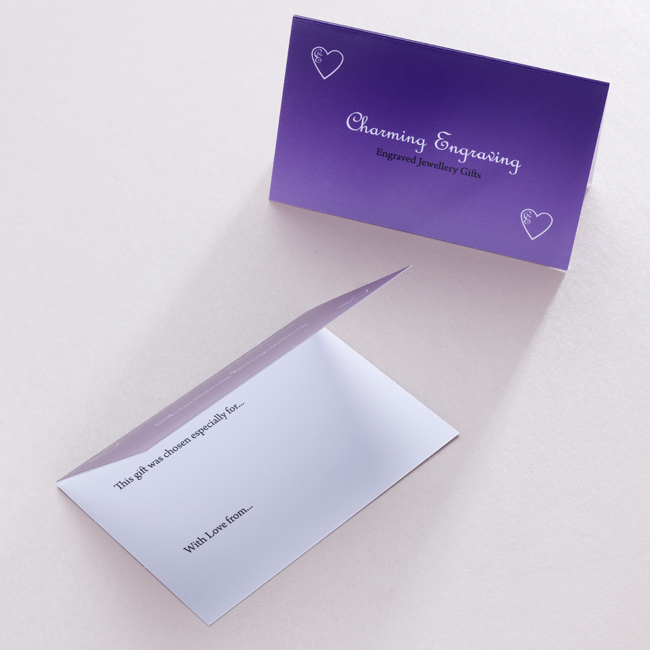 Personalised with any engraving of your choice on the heart charm. Made with stunning Swarovski pearls in white and sparkling Swarovski clear, Aurora Borealis crystals. The heart is made of high quality, tarnish proof, stainless steel. All engraving is included in the price! Part of our Religious Jewellery collection. See also our range of children's jewellery with engraving. Extender chain included to allow room for growth and adjustment. 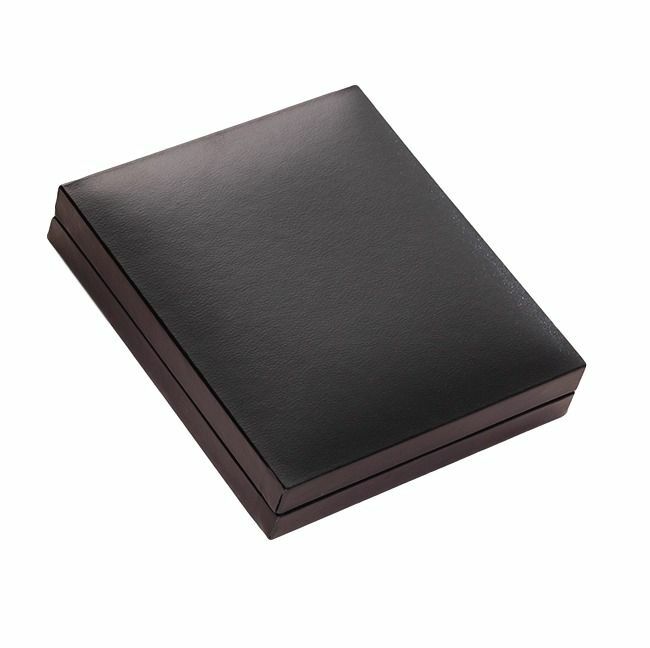 Presented in the gift box shown with a little gift card for you to write your personal message in. Children's Sizing: Please select age from the drop down box. Metal Parts: Stainless steel and silver plated.